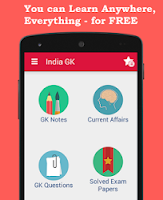 Current Affairs MCQs of 1 August 2015: Current Affairs Daily Multiple Choice Questions (MCQs) for India GK, World GK and current affairs with Collection of daily objective type Question by www.Indiagk.net based on General Knowledge (GK) and General Science (GS) Questions for UPSC, State PSC, SSC, Police exam, Railway exam, SBI, Bank PO, IBPC, SSC, LDC, UDC, Army, Airforce, Navy, Coast Guard, Bank Clerk, TET and all entrance examination with current affairs News, Multiple Choice Questions (MCQs) available on Website www.IndiaGK.net and Android Apps with daily updates:. The recent Land Boundary Agreement with Bangladesh will come into effect from ? Kanwar Teerth Yatra begins in the month of ? Microsoft launches which Operating system recently ? Lynn Anderson who passed away recently. He was a ? Prabhroop Sekhon, who wins two gold medals in Special Olympics 2015 is associated with ? Who wins India's first-ever individual medal in the World Archery Championships on 1st August 2015 ?